This must be one of those cakes that gets finished once it is baked and creamed. The carrot cake. It is loved for its moistness, the wonderful traditional cream cheese filings and walnut crunch. The recipe here is great with or without the crushed pineapple, which is a traditional addition. I have omitted it, and used milk instead. Have fun making these. Guaranteed to be a hit, and nutritionally sound. Cream 200g brown sugar with 280g sunflower oil. add 4 eggs and aerate the eggs. Add in 230g self raising flour, 50g plain flour, 1 Tsp cinnamon, 1 cup chopped walnuts, 1/8 cup milk and 4 grated medium carrots. Stir through and bake for 45 minutes at 170C in 2 x 8 inch round pans. Icing is 1 block of cream cheese, 3/8 block of butter and 150g sugar. Cream sugar and butter till almost white. Add cream cheese. Use on totally cooled cakes only. Heat up oven at 170C, use the low rack. Cream brown sugar with sunflower oil. Add 4 eggs and aerate the eggs on medium speed for 5 minutes. Sift flours and ground cinnamon. Fold in self raising flour, plain flour, 1 ground cinnamon and chopped walnuts, milk/crushed pineapple and grated carrots. Bake for 45 minutes at 170C in 2 x 8 inch round pans. Cream sugar and butter till almost white. Add cream cheese. Sandwich the two pieces of cakes with the cream cheese glacing, and decorate accordingly. You can also candy the walnuts if desired, and traditionally, this carrot cake is decorated orange and green with walnuts. 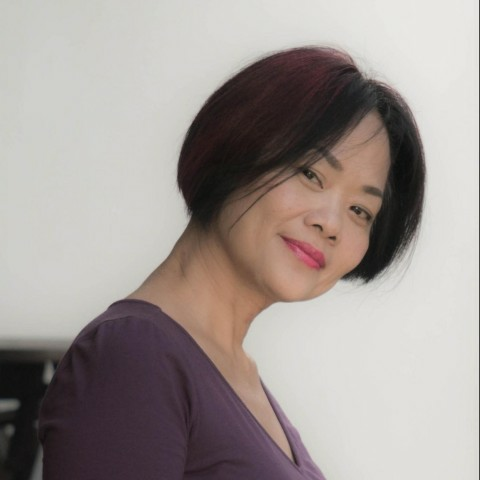 www.singaporefood.me is fully owned by Pamela Lim and is not associated with her other businesses. Images on this site are copyrighted.